I found a Tommy Hilfiger system, its yellow and has the emblem in the middle like those do. Should i pay 40 for it? I would the owner probably doesn't know what its worth, you could research it to see if its worth anything before you purchase it also anyways good luck on what you can find and if you purchase it or not! I'm the owner of the Pink Gameboy with the heart on it! Feels really awesome to see my image spreading. I've contacted nintendo but they were very vague and wanted me to send it away for assessment which I feel is too risky! Thanks for featuring my image! I am the owner of a hot pink kirby gameboy. Limited edition only ever 25 made. Competition winner in 1994. My question is this, In that last picture we know all the gameboys except one. What is the blue gameboy at the bottom of the pile? 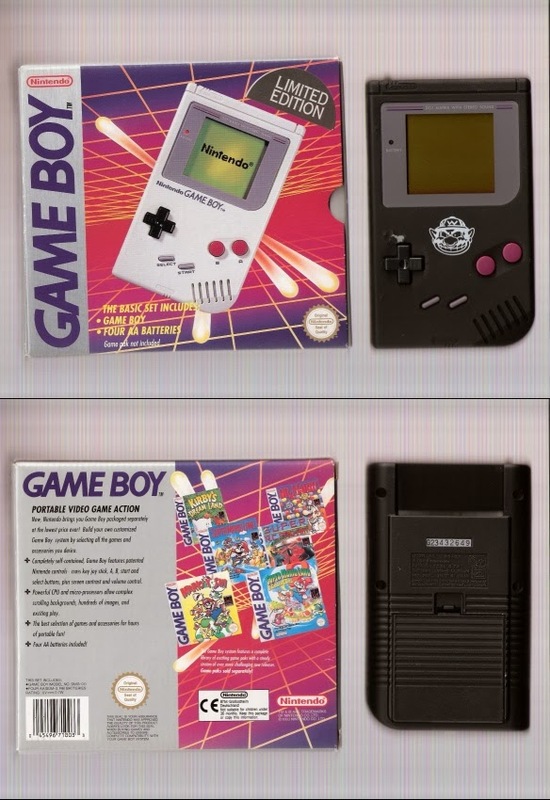 They would not put two of the same gameboy in one shot. My husband owns one of the Planet Hollywood Game Boys. He got it off eBay years ago. Still in it's original box. Hello I have a Blue Game Boy Play it Loud, I heard these are pretty hard to come by/rare due to them only being a UK release? Does anyone know if this is correct and if so how rare and valuable are they. I'm an owner of a pink kirby gameboy. Any idea what this is worth, have it on eBay but have no idea what to sell it for!! No box and a good few scratches and it was much loved for many year. I had purchased the Nintendo Game Boy Micro before months ago, and it really designs better and more comfortable in use. i heard that the company continued to refine the portable model of the compact Game Boy device. I am the owner of the black wario Gameboy. I won it when i was a kid it also came with a wario jacket and messenger bag. @Barry - Very cool. Can you post some photos of the other items included with the Wario Game Boy? hello,someone wants to sell me one of this kirby, wario or planet hollywood gameboy?